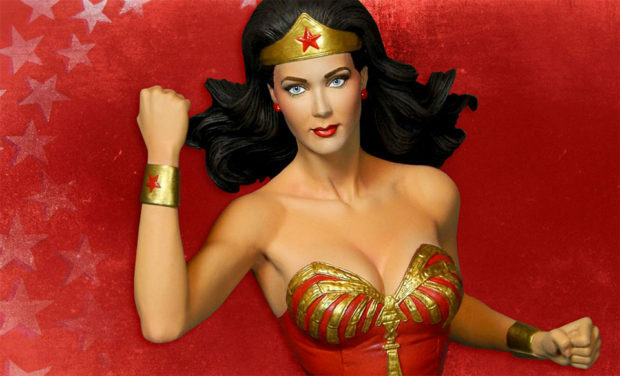 When I was growing up, one of the shows that was on seemingly every day during the summer was Wonder Woman. I watched that show every day because it was cool, and because Wonder Woman was hot. 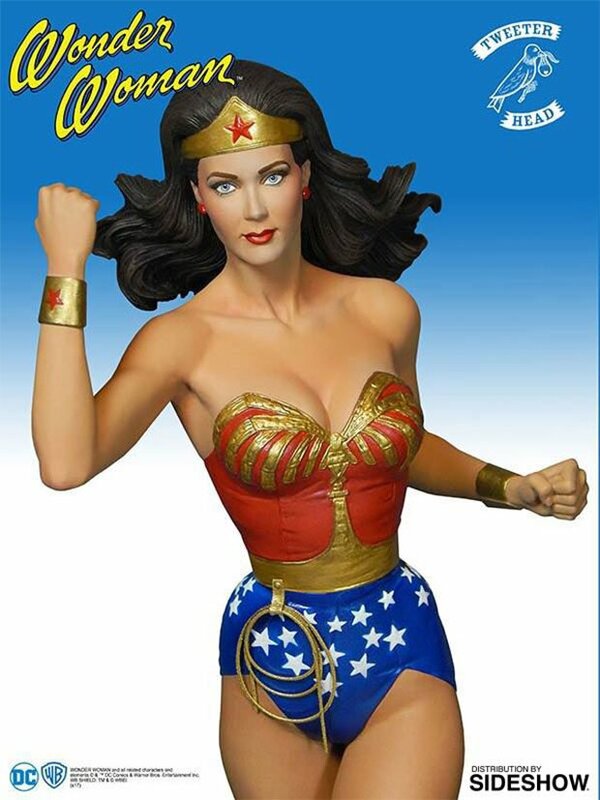 If you’re a fan of that early ’70s TV series Sideshow Toys has an awesome Wonder Woman maquette by Tweeterhead that you can add to your collection. 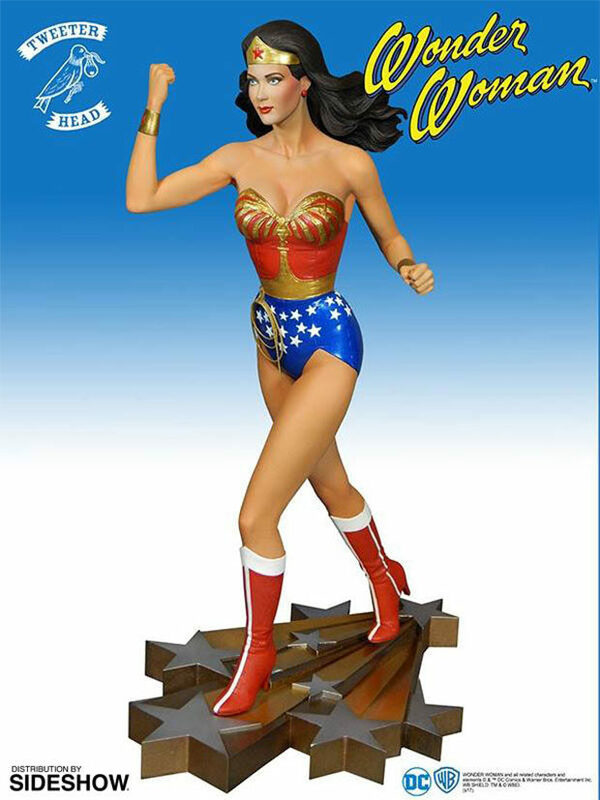 The 13.5″ tall statue is based on Lynda Carter’s appearance in The New Adventures of Wonder Woman. Each statue is cold-cast in porcelain and handpainted. 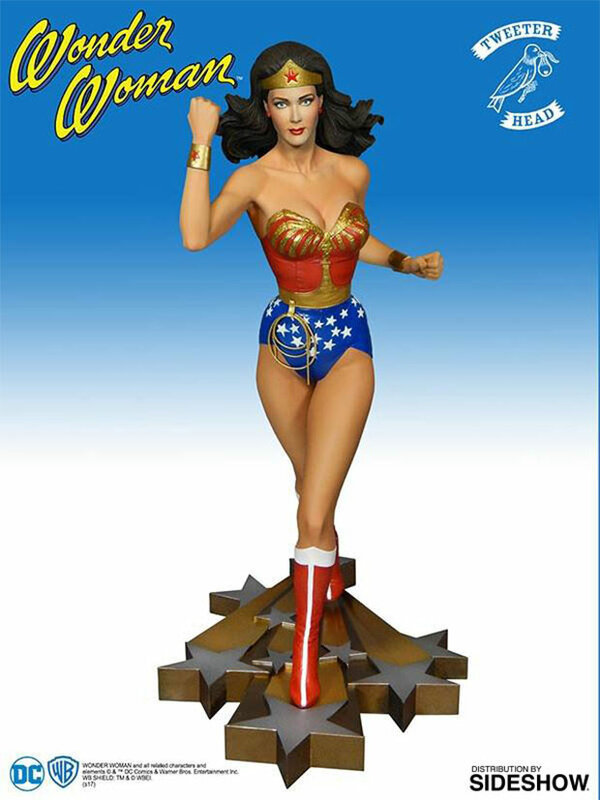 Wonder Woman has her headpiece, bracelet, and golden lasso of truth. The statue is supposed to ship in July-September 2017. This is a prototype pictured and could look different when it ships. 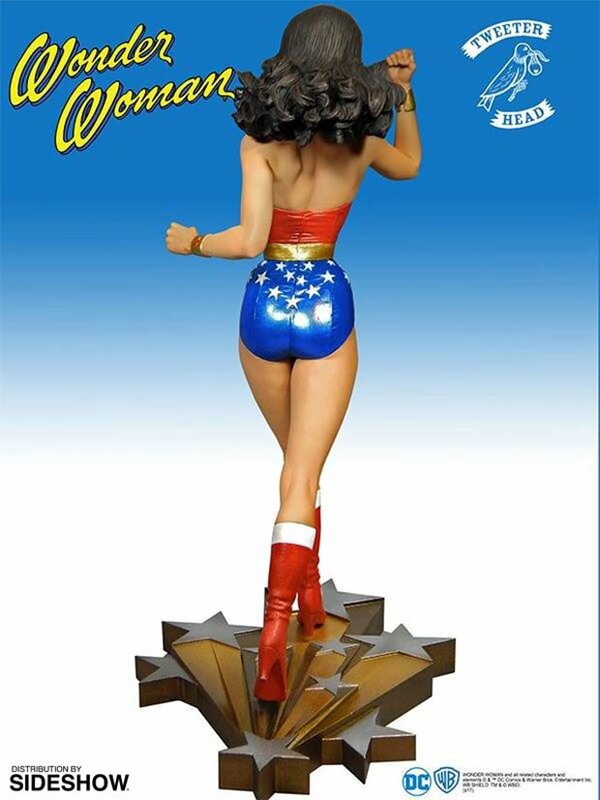 You can pre-order yours now over at Sideshow Collectibles for $249.99(USD).